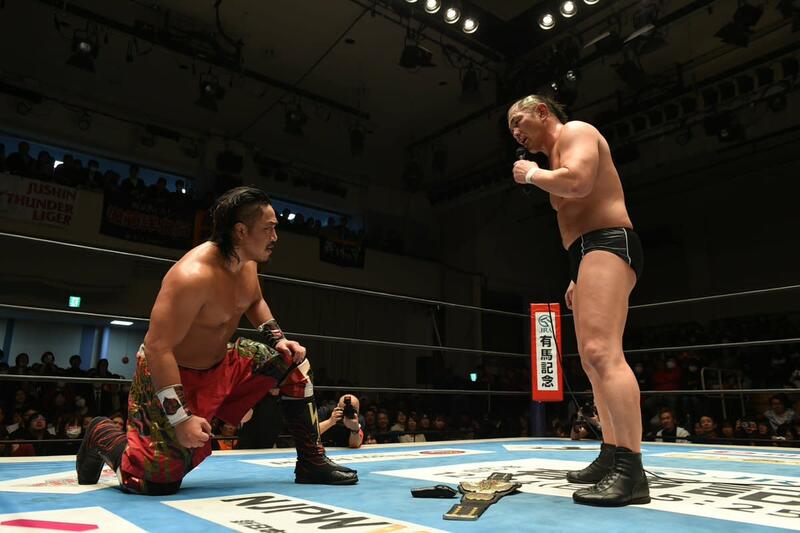 The expected hair vs. hair match between Minoru Suzuki and Hirooki Goto for the NEVER Openweight Championship is now just about official for the January 4th Wrestle Kingdom show at the Tokyo Dome. It is expected that the entire card will be announced within the next 48 hours since New Japan's final show of the year on Monday at Korakuen Hall just ended. After Goto & YOSHI-HASHI beat Suzuki & Takashi Iizuka via DQ due to outside interference on today's show, Suzuki and Goto did post-match mic work. Suzuki accepted the challenge and said that he would finish Goto, not just humiliate him by taking his hair. He also indicated his own hair would be on the line as he said it was all or nothing, the winner gets the clippers (to cut their opponent's hair off) as well as the NEVER title belt. Also at today's show, Hiroshi Tanahashi appeared and assured everyone that his knee is improving and he would be defending his IWGP Intercontinental title against Jay White at the Dome. White, who was not advertised for the show and didn't wrestle, then attacked Tanahashi and worked over his bad knee. There was also an end-of-the-show brawl with Tetsuya Naito and Kazuchika Okada in their final confrontation before the Tokyo Dome. This time Naito was able to escape Okada's new Cobra Clutch and finish him with the Destino, to show that even with Okada's new counter developed, he's studied and can still win the title.